At Mobile Truck Rental, we make your entire rental truck rental experience a whole lot easier. For starters, you don’t have to make a special trip down to our rental agency to collect your vehicle and secondly, you don’t have to go out of your way to deliver the vehicle back to us when you’ve finished with it. 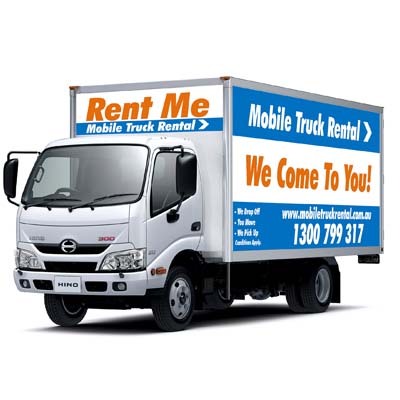 At Mobile Truck Rental, we take the hassle out of Gold Coast truck rental. We deliver your rental truck straight to your premises, at a time and day that is most suitable for you. Furthermore, we come out and collect the vehicle from you when you’re done with it, from any location in Australia. It’s the ultimate convenience. We provide a quick approval process that ensures you receive your vehicle in a timely manner. This is especially handy for customers who require a vehicle ASAP. For a fabulous deal on truck rental throughout the entire Gold Coast region, call the team at Mobile Truck Rental now on 1300 799 317. Whether you require a truck for domestic duties or commercial purposes, our fleet of Pantech trucks are ultra-dependable, enabling you to focus squarely on the task at hand. If you require the services of a powerful, multi-purpose transport vehicle that has all the strength and flexibility to handle anything you demand of it, our range of Pantech trucks will never let you down. The most common use for our hire trucks is DIY removal. If you’re in need of a heavy duty removal truck to shift your big and bulky home or office supplies, transport industrial equipment or if you need to transfer the contents of your small business to a new location, our 3 tonne trucks are the ideal solution to your troubles. If you are looking to move large equipment on your own, be sure to read our handy guide on safely loading and unloading heavy equipment. Whatever reason you have for renting a removal truck, the team at Mobile Truck Rental will ensure that your rental experience is a pleasant one. Superior Customer Service – our customer service team have a high aptitude for the rental industry and can provide you with all the guidance and information you need to ensure that choose a truck model that best caters to your needs. Our consultants will organise a 3 tonne Pantech truck to be delivered to your premises at a time that is most convenient for you. They’ll develop a customised rental package that meets your specific requirements, so you’ll only ever pay for what you need. We have a longstanding history of supplying first rate hire services to our customers. Please take the time to peruse our testimonials section and discover what our customers have to say about our services and their overall experience with Mobile Truck Rental. Our quick and easy online quote form allows you to request a quote from us in a matter of moments, which our consultants will respond to in a matter of moments. If you have any queries concerning our truck rental services, please get in touch with us now on 1300 799 317. Clean, Reliable and Well Maintained Vehicles – when you rent a truck, reliability is everything. Our range of current model Pantech trucks are tough and resilient workhorses that help ensure your errands are completed on time and with minimal hassle. In order for vehicles to remain in perfect working condition, they need to be inspected regularly. All of our trucks undergo maintenance checks by trade-certified mechanics and we ensure that no truck is ever made available for hire unless it has successfully passed all quality assurance tests. High Performance Rental Trucks at Affordable Prices – have a look at our truck rental rates and you’ll quickly realise how much you stand to save by hiring a Pantech vehicle. At Mobile Truck Rental, you have complete flexibility; you can choose the best-fit vehicle and you can rent it for any duration that you like. We offer generous discounts for long-term hire. There is complete transparency in our service pricing and you will never be slugged with hidden charges. Ideal for Domestic or Commercial Use – each rental truck offers substantial storage room, with our 3 tonne Pantech able to comfortably haul the entire contents of a 3 bedroom unit in a single journey. Although bigger than ordinary passenger vehicles, Pantech trucks are just as easy to drive, enabling you and your passengers to travel to your chosen destination in air-conditioned luxury. Be sure to read our driving tips guide on how to safely operate your new vehicle. Moving house or relocating your business can be an arduous affair, but our vehicles are purpose built to excel at these exact tasks. We do the collecting for you. We drop your hire truck off at your specified address and we collect it from you once you’ve finished using it. It’s that simple. For a free quote concerning removal truck hire throughout the Gold Coast region, contact the team at Mobile Truck Rental now!